Poems focus on shared experiences with honest and openly expressed feelings. Gary Ten Eyck’s often musical poetry collection, A Potpourri of Poems, chimes from the opening note. Couplets extend the songlike quality of the poems, which flow most naturally in poems like “A Face.” Painterly images evoke palpable sensations of the “sun-warmed sand” and “tender shell, / Of a soul,” working most effectively in brief stanzas. Poems about family members focus on shared experiences with honest and openly expressed feelings. Vivid descriptions include those about treasured lunches in “Fruit Time” and the indelible memories of those who have departed this “earthly lair,” a repeated phrase in poems including “To Rick.” Recollections of specific people—like those of a friend, Sandy, with “laughing eyes and dancing smiles”—lead to genuine and enduring tributes, poignantly recalling people who were particular sources of joy. A simple gray line drawing of a sailboat comes behind many of the poems before a photograph of an unidentified sailor appears. Both require guesswork as to their connection to the poems until late in the book. 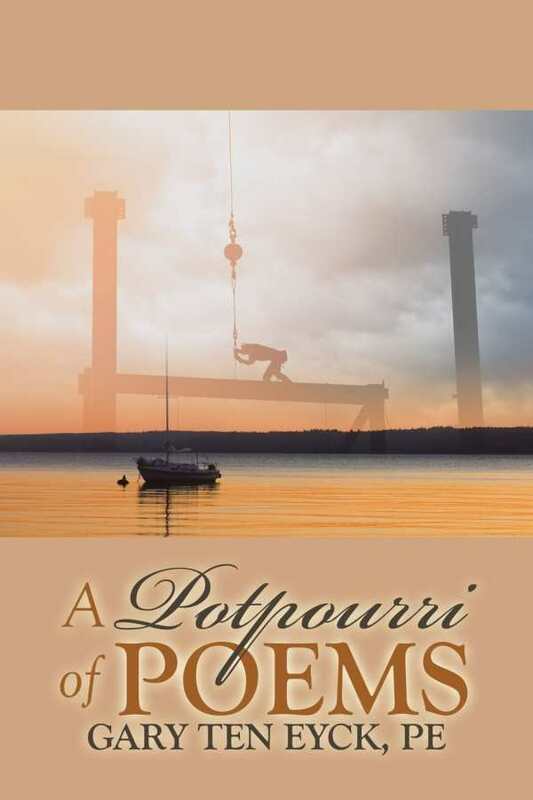 A Potpourri of Poems is a personal poetry collection about the highs and lows of one man’s life.